A CNN headline and tweet omitted the full context of purported comments made by Secretary of the Interior Ryan Zinke, highlighting comments dismissive of diversity while excluding a promise to hire a diverse staff. "Sources tell CNN that Interior Secretary Ryan Zinke has repeatedly said he won't focus on diversity, making comments like "diversity isn't important," CNN tweeted Monday, linking to a story headlined, "Sources: Zinke tells employees diversity isn't important." 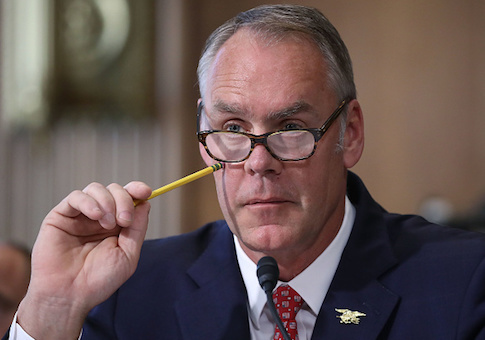 "Three high-ranking Interior officials from three different divisions said that Zinke has made several comments with a similar theme, saying ‘diversity isn't important,' or ‘I don't care about diversity,' or ‘I don't really think that's important anymore,'" CNN reported. But in the next paragraph, CNN acknowledged that Zinke followed up those remarks by promising the most diverse staff to date. "Each time, Zinke followed with something along the lines of, ‘what's important is having the right person for the right job,' or ‘I care about excellence, and I'm going to get the best people, and you'll find we have the most diverse group anyone's ever had,'" CNN reported, citing the same sources. When CNN first aired the story on Monday, correspondent Sara Ganim reported Zinke's alleged comments about not caring about diversity while omitting his alleged follow-up that he plans to hire the most diverse staff to date. The story aired twice more Monday, with hosts Don Lemon and Erin Burnett providing the full context. The following morning on CNN's "Early Start," the hosts again omitted Zinke's alleged follow-up comments. Zinke's office denies he made the comments at all, telling CNN that "the anonymous claims made against the secretary are untrue" and pointing to his hiring of prominent African-American and women staffers. "As a woman who has worked for him for a number of years in senior positions, I say without a doubt this claim is untrue, and I am hopeful that they are a result of a misunderstanding and not a deliberate mistruth," Interior Department spokeswoman Heather Swift said. This entry was posted in Politics and tagged CNN, Department of the Interior, Diversity, Ryan Zinke. Bookmark the permalink.